We execute from concept through opening night. 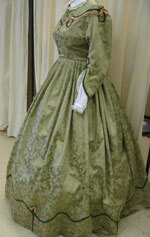 We research, sketch and build costumes appropriate to our clients needs and production values. Several of Leslie's shows have been named as a top ten show in their respective region for that production year, including Ma Rainey's Black Bottom & A Lie of the Mind for TheatreFest and Jitney for Plowshares Theatre. From a premier to the tried and true, we enjoy the challenge of creating an image the audience can enjoy. 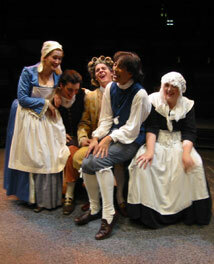 We hope you support your local theatre community by attending and applauding the work done. If you would like more information about local theatre groups, please see our links in the About Ashbridge section. 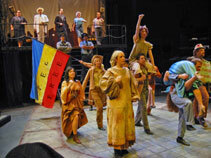 "Urinetown, the Musical, Oakland University, 2005"
"She Stoops to Conquer, Oakland University, 2004"